This a varied 40km ride. 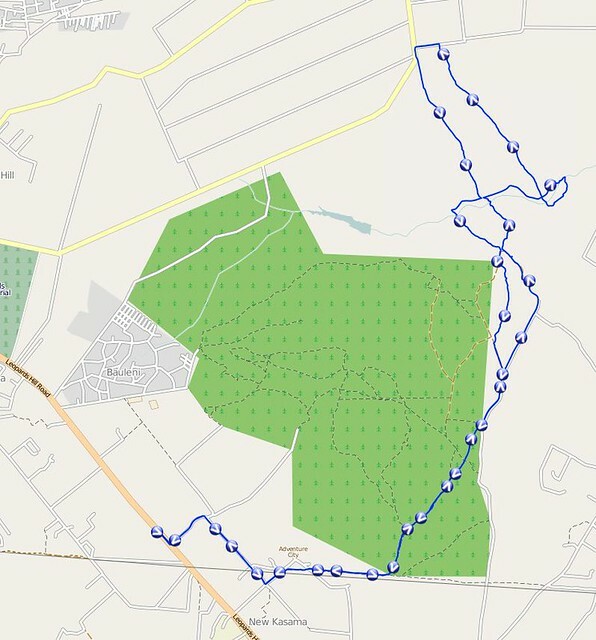 It is a true loop with very little of the trail ridden twice. After a gentle climb up to the entry point into the Forest Reserve there is gentle downhill single track section and a couple of nice gullies across streams. 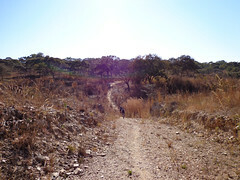 There is then a lot of dirt/gravel road with three good hills – cyclable but they will take your breath away. You pass through three farms – but no one seems to mind! You pass by the entrance to Monkey Pools and so you can pop in there for a bit of a break if you’d like to. The last few kilometres are on tar which makes to a nice run to the end. Starting point: Kilimanjaro Cafe/Lodge, Leopards Hill Road. 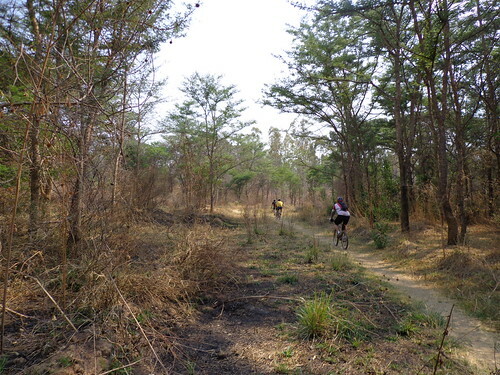 This route was the inaugural Elephant Epic, a fundraising ride for Game Rangers International. 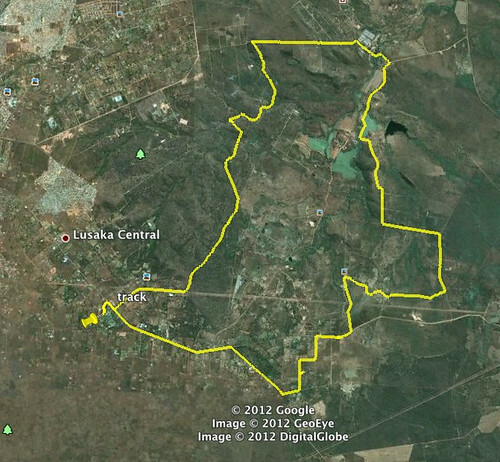 The route starts at the junction to the Mikango Barracks down Leopard’s Hill Road and finishes at Kiambi Lodge on the Lower Zambezi. The track is a mix of dirt road and jeep track, occasionally quite rough in places but not too technical. We had 2 water points along the route and you must take ample food and water if doing this without backup, a chase vehicle is highly recommended. 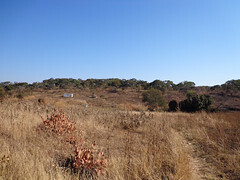 Whilst the overall route is a descent into the Zambezi valley, there is one tough climb approx 40km into the route with a steep descent on the far side into the sandy soils of the river valley. You will obviosuly need transprot back to Lusaka from Kiambi.